Dr. Mauck has been a vital part of D’Amico and Mauck, DDS for six years and counting. After attending LSU (where he played for the 2003 National Championship football team), he chose to pursue his Doctor of Dental Surgery at the University of Colorado School of Dental Medicine. Additionally, he is a FACE (Foundations of Advanced Continuing Education) graduate, having taken a two year course about advanced functional occlusion, and he continues to pursue further education whenever possible for the sake of his patients. Today, Dr. Mauck is a proud member of the Colorado Dental Association, the Metropolitan Denver Dental Association, the American Dental Association, and the Academy of General Dentistry. He has also won a prestigious award from the Academy of General Dentistry in the past. Today, his favorite part of dentistry is getting the opportunity to treat and work with such great people! 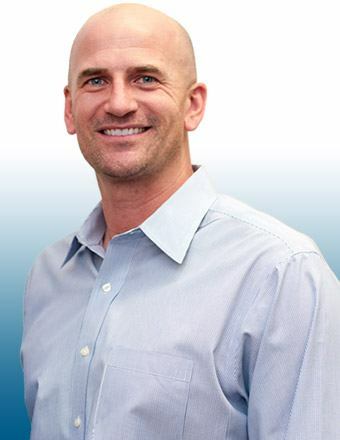 You may also recognize Dr. Mauck from the sports world – before pursuing dentistry, he played with the Chicago Cubs for three years and another three years in the NFL as part of the Denver Broncos and the Tennessee Titans. Today, he and his wife Jill have three boys named Tyson, Kellen, and Olly. When he isn’t busy at the office, he enjoys playing golf, climbing mountains, and coaching his kids.